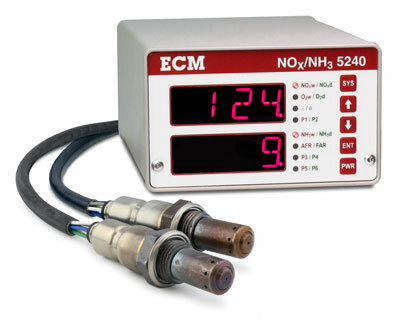 ECM’s NOX/NH3 5240 Analyzer is a remarkable instrument that combines the measurement of NOX, NH3, O2, and Lambda into a single, compact package. 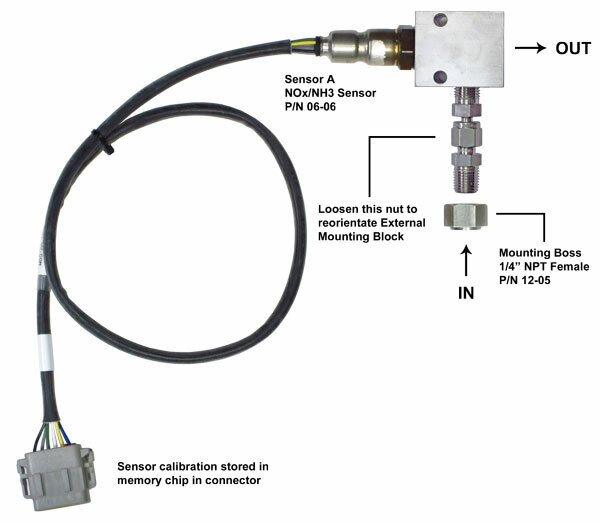 Unlike all other ceramic NOX sensor systems, the Model 5240 eliminates the cross-interference of NH3 in the NOX measurement and hence provides separate NOX and NH3 readings. By doing this, diesel engine SCR systems can be properly developed and tested since you now know whether an increased signal output is due to NOX (i.e. urea dosing too low) or NH3 (i.e. urea dosing too high). Distances of up to 100 meters between the sensors and the analyzer are possible with no degradation in response time. The sensors have their calibration stored in a memory chip in the sensors' connectors. Calibration can be performed by the user (Zero, Span) and is written into the memory chip. 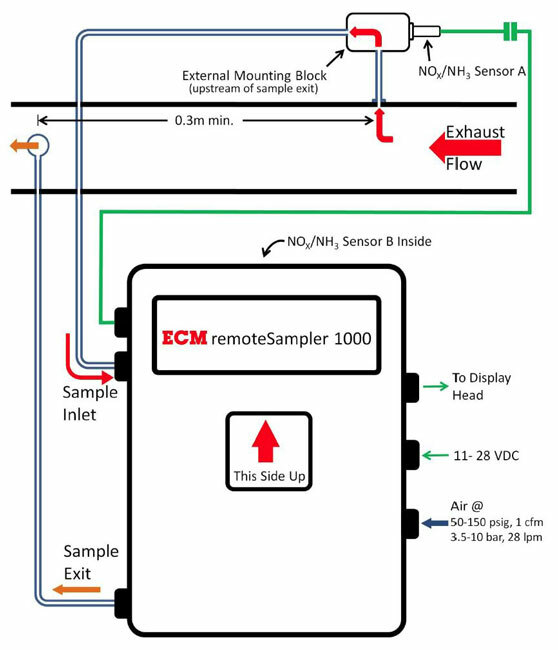 This allows sensors to be recalibrated in a central location (or by ECM) and distributed to users, ensuring consistent results throughout a large test facility. 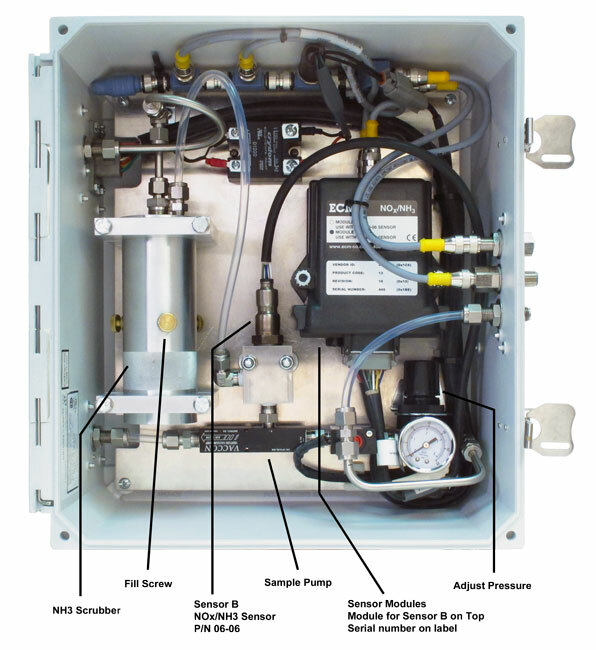 The NOX/NH3 5240 is programmable for all fuel types (specified by fuel H:C, O:C, N:C ratios, or H2). NOX, NH3, O2, Lambda (λ), AFR, Equivalence Ratio (Φ), and all sensor parameters including pumping currents, cell resistance, and sensor age factor are available for display and output. For improved accuracy with high exhaust pressures, a pressure compensation kit is available. The NOX/NH3 5240 is compact, yet easy to read, making it suitable for both dynamometer and in-vehicle applications. 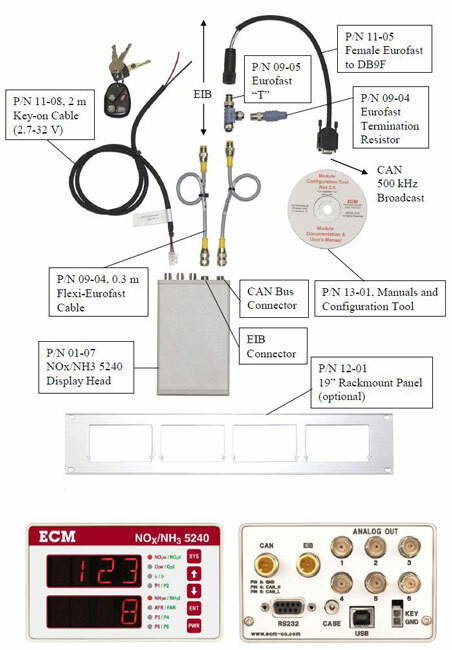 With six analog outputs, CAN, and USB communication, the NOX/NH3 5240 can be integrated into any data acquisition system. To simplify in-vehicle use, the NOX/NH3 5240 can be turned on and off with a signal from the vehicle's ignition switch. 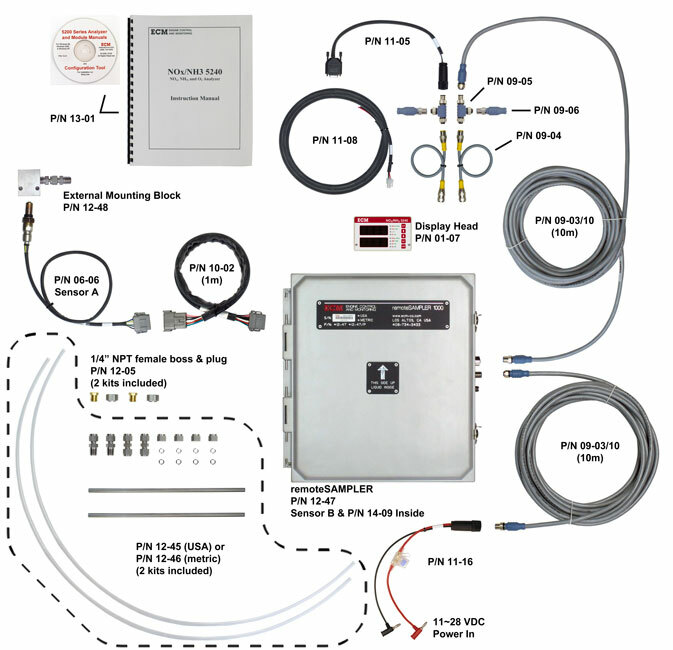 This feature along with the analyzer's CAN communication capability makes it possible to integrate the NOX/NH3 5240 into the loop of a real-time emissions control strategy. Exhaust NOX, NH3, and O2 concentrations are of paramount importance to engine and aftertreatment developers and legislators. The NOX/NH3 5240 makes these difficult measurements with ease and is an indispensible tool for the development of modern engine systems. Response Time: Less than 1 s (NOx, NH3). Less than150 ms (O2, λ, AFR, φ). Analog Outputs: 6 channels, 0 to 5V linearized and programmable for NOx, NH3, O2, λ, AFR, φ, pressure, etc.